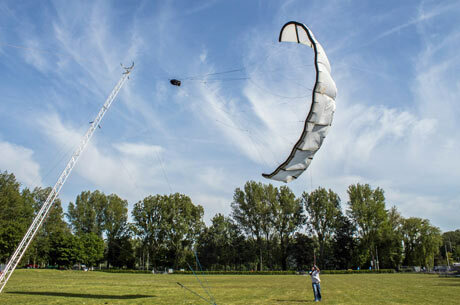 The Guardian has an article on airborne wind turbines - Flying a kite for aerial wind power. According to Schmehl, airborne energy production can be cleaner, cheaper and more effective than conventional wind power generation. "It's now clear that the world needs more energy from renewables. And we need the progress to be faster. Wind is an important resource that so far has been limited, because conventional wind turbines just scratch off the bottom layer of what is actually available in the atmosphere." While a normal wind turbine is up to 200 metres tall, a kite can catch much higher currents. "We operate between 100 and 300 metres but kites can in fact fly much higher. 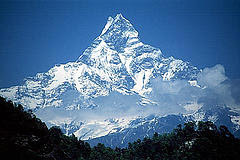 So far, the altitude record is 9,740 metres," says Schmehl. Kite wind generation overcomes the problem of intermittent power, typical of conventional wind technologies, for one simple reason: the higher you go, the more constantly the wind blows. Airborne wind turbines provide a more stable energy flow, and they are much cheaper as they need less material than a wind turbine. Instead of a steel tower, you have a system that looks and works like a yo-yo. "You have a cable going into the sky with a flying harvesting device. Our group has focused on kite power, and specifically the pumping kite power system. We use the traction power of a kite sail to pull a cable from a drum that drives a generator on the ground. Once the cable has completely unwound it needs to be reeled in again, which requires a certain amount of energy. "You have to design the pumping cycle so as to have a traction and a retraction phase," says Schmehl. He and his team came up with a solution to minimise energy losses. "We rotate the kite into the wind as we pull it back, so essentially the airstream does part of the work for us. This way, we need less energy to reel in the cable."